Prices were up 4.3pc nationally in the year to February, according to the Central Statistics Office. This compares with an annual rise of 12.5pc in February the previous year. In the month of February this year prices fell by 0.1pc. It was the fourth month in a row of price drops. 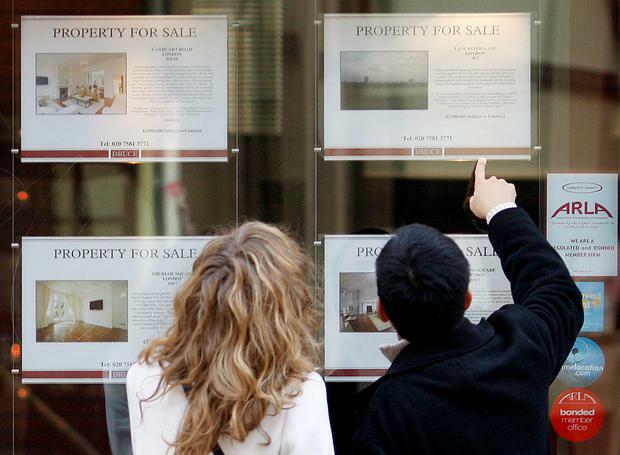 Dublin prices rose by just 1.4pc in the last year. But when the capital is excluded, the CSO said property values were 7.5pc higher in the year. The region outside of Dublin that saw the largest rise in property prices was the Mid-West at 14.1pc, while the smallest rise was recorded in the Mid-East at 2.9pc. Overall, the national index is almost 19pc lower than its highest level in 2007. Dublin residential property prices are 22pc lower than their February 2007 peak, while residential property prices in the Rest of Ireland are 23pc lower than their May 2007 peak. Households paid a typical price of €250,000 for a residential property in the year to February. The median price in Dublin was €368,875. In the Dublin region, Dún Laoghaire-Rathdown had the highest median price at €540,000, while Fingal had the lowest at €330,000. The highest median prices outside Dublin were in Wicklow at €317,500 and Kildare at €294,999, while the lowest were €98,000 in Longford and €100,000 in Leitrim.